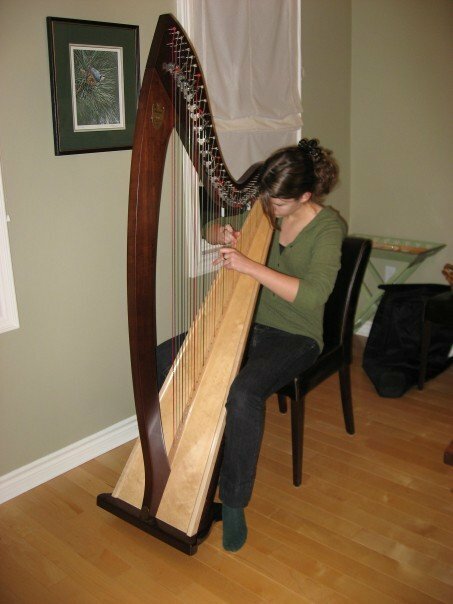 "Months of research online did not compare to what I learned in one afternoon with you at my harp consultation! Thank you for offering this fantastic service. Dealing with you was an absolute dream and I could not have wished for a better first-time experience in the harp world. From the process of renting to buying, I knew that you were there for me. Thank you so much!" "I hope to always continue doing business with you and I also hope that we can maintain personal friendship..."
Emily D enjoys her new Troubadour.